Not long ago Labour supporters seemed very confident. Their lead in the polls pointed to a comfortable majority; the electoral system was loaded against the Conservatives; they (in their own minds) had won the argument on austerity. It was a good moment to move to the political left and drop the Blairite obsession with the political centre. But now Labour’s poll ratings are sinking, and the Tories catching up. The 2015 election increasingly looks like a stalemate or worse for Labour. What can they do? And it is not difficult to see the source of Labour’s problems: Britain’s reviving economy, and rapidly falling unemployment. This is not running to the Labour script – which was that austerity policies doomed the British economy to stagnation and misery. It used to be that Labour’s Shadow Chancellor, Ed Balls, sounded easily the most economically literate of the front-bench spokesman of either side (challenged only by the Lib Dem Business Secretary, Vince Cable). Now he sounds panicky and flustered. His arguments, that the recovery is shallow because it is based on consumption rather investment and exports, is technically correct but irrelevant. Labour’s alternative policies of fiscal stimulus were promoting an equally shallow recovery. Labour has no serious ideas on how to promote investment and exports. Meanwhile, the rising economy is giving government spokesmen more confidence: Lib Dem Treasury Secretary Danny Alexander sounded more in control of the economic arguments than he has ever been on the radio this week, managing to pick apart arguments presented by the FT’s Martin Wolf. The Tory Chancellor George Osborne, always more interested in politics than economics, is not wasting any opportunity to skewer Labour using much less sophisticated arguments. Labour started their damage limitation strategy last Autumn by their leader, Ed Miliband: to try and change the subject. First there was the “cost of living crisis”, focusing on the failure of pay to keep up with prices. Now it is the top rate of tax, where they want to restore the 50% rate rashly reduced to 45% by the Coalition in 2012. Labour’s policy is popular, and the criticism coming in from business groups is unconvincing. These lobbyists say that reducing taxes, especially on the better off, is what is need to awaken dormant business investment. And the government has duly cut taxes (that top rate, and also the rate of company tax) without investment budging. The trouble is that Labour’s policies sound unfriendly to businesses, and therefore likely to stall growth and cause general taxes to rise. It gets worse for Labour. The energy that drives their activists comes from opposition to austerity: fighting cuts which are seen as mean-minded and ideological. The theory was that the fighting the huge government deficit should be left until later, when the economy was growing. That “later” has now arrived. So how will Labour cut the deficit? Being specific about this, as they will have to be by 2015, will cause huge angst and disillusionment amongst their core supporters. And in any case Britain’s electoral system is not so weighted in favour of Labour as some supposed. There is a pro-Labour bias in the distribution of seats it is true, but there is also a pronounced benefit to incumbency. When it comes to asking which seats the party will have to capture to win an outright majority it looks hard going. Battersea, the seat where I live, is a case in point. The Conservatives took it off Labour in 2010, but it looks very difficult for them to win back. In the last 3 years I have heard nothing from Labour, but regularly from the Tories; residents aren’t being given the impression that Labour are in contention. The hard fact is that modern politics, with fewer volunteer workers and high postal costs, is an expensive business. Labour surely do not have the money to capture enough marginal through trench warfare tactics in the marginals. They need a national landslide effect, such as they achieved in 1997 under the hated Tony Blair. So what to do? A change in leadership is out of the question, especially as the most popular alternative, David Miliband, Ed’s brother, is out of contention. A ruthless reshuffle of the front bench might help, but only if it went alongside a wider change of strategy. I think promising more money for the NHS, struggling to keep up with demand, would play to their strengths. But they would have to have credible tax policies to back it up. Taxing just the very rich won’t quite cut it. But taxing a wider body of people would totally undermine their rhetoric on the cost of living. They have dug themselves into a real hole. Their best bet may just be to keep calm and hope the Tories self-destruct. They show every sign of wanting to do so over the toxic issues of Europe and immigration. Labour’s best chance of benefiting from this tendency to suicide is to appear moderate and centrist. Not a good moment to lurch to the left. And what of the Liberal Democrats? About half their voters at the 2010 election deserted them for Labour. The polls that show Labour sinking do not show any real benefit for the Lib Dems. But if the contradictions of Labour’s criticism become exposed in the next year or so, then they may get their opportunity. The centre ground, though treated with justifiable suspicion by many of their activists, is a sound place for them to stick to for now. The UK economy has improved dramatically in the last six months. This is one of the most important developments in British politics. This week’s good news on employment is just part of a wide spectrum of measures showing the economy’s improving health. Economic commentary, with its narcissistic obsession with monetary policy, has concentrated on the implications for interest rates. But a more important question I whether the economy’s recovery is sustainable. And the answer to that seems to be… not yet. And while it isn’t government austerity has to be the priority. The political debate around the economy has focused on the wisdom or otherwise of the government’s austerity policies, designed to fix the country’s massive gap between public expenditure and tax. The Labour opposition suggested that there should be less austerity, and even some temporary tax cuts to try and push the economy into a virtuous circle of growth. But the country is now embarked on just such a virtuous circle without the need for any fiscal stimulus. Additional private consumption is the main cause of this stimulus, according to the latest bulletin from the Office of National Statistics (ONS). This shows that the Labour policy might well have worked (i.e. that a bit of stimulus could set off a virtuous circle), though in the event proved unnecessary. So intellectually developments have far from proved Labour wrong. But they are the big political losers. Labour’s policy might have been sensible in the circumstances, but they also suggested that the Coalition’s policies were doomed to failure, which has proved not to be the case. It gets worse for them. This level of growth undermines the case for any reduction in austerity polices – which could cause inflation. And yet their hard-core supporters have been rallying to the idea that the cuts in government services and benefits are ideological and unnecessary. Labour have switched their attack to the cost of living, which is still running ahead of personal incomes, but this too runs the risk of being undone by events. Politics is a momentum business, and all it would take is a general improvement in wage levels before the election in 2015 to sink their propaganda offensive. Their poll lead has already shrunk. Meanwhile press attention has switched to the Bank of England, which has embarrassingly been taken by surprise by the growth spurt. It is not long ago that it suggested that unemployment would not fall to 7% until 2016 – we are nearly there now. I find the focus on monetary policy very irksome though. It allows commentators to pontificate well inside their comfort zone, and talk about short-term developments in financial markets. But, as longer term followers of my blog will appreciate, I think that the usefulness of monetary policy is exaggerated, and the theory behind it has been comprehensively shredded. Instead the big question should be sustainability. Mainstream economic commentators don’t seem to be that concerned by this. Their analysis is based on the idea that sustainable growth depends on whether or not growth exceeds the trend rate. This trend rate, about 2% per annum, is the average rate of growth since the 1950s, and is primarily driven by a steady increase in productivity. Up to 2007 the UK economy was neatly conforming to this trend. Then the recession hit, putting it well behind the trend rate, with a lot of catching up to do. This sort of commentator often mentions a large gap between the current size of the economy, and what it would have been if it had stuck to the trend – with the implication that this gap is a matter of policy failure. Chief amongst these commentators in my eyes is the FT’s Martin Wolf. In a recent article he dismissed the idea that growth up to 2007 was unsustainable. This is macro blindness: a failure to question the neat patterns created by aggregate economic statistics. In my view the UK economy cannot sustain a growth rate as high as 2% in the long term, hasn’t been able to do so since perhaps 2000. The reasons are demographics, the changing impact of technology, and a reversal of the gains from trade achieved with the rise of China and India. The main evidence, not mentioned by Mr Wolf in his article, was provided for me in a lecture in 2007 by Professor Wendy Carlin, my economics tutor at UCL. It is the combination of an appreciating real exchange rate and a wide trade deficit. This provides an illusion of growth, but it is not supported by the advances in productivity that are required to sustain growth in the longer term. It was not fashionable to say this at the time, but it proved prophetic. Productivity, incidentally, is an almost impossible factor to measure satisfactorily, and can only really be inferred indirectly. It is my feeling, not sustained by hard analysis, that a lot this growth illusion was from the reduced costs an increasing amount of goods, and some services, bought from China and India, and an important element of that trade deficit. This boost to the economy had “temporary” and “reversible” written all over it. And the bad news is that the current spate of growth has suspiciously similar symptoms. The trade balance reported by the ONS deteriorated from under negative 2% of the economy in mid 2013 to over negative 3% in November (the latest data). I don’t have direct figures for real exchange rate (a rather tricky calculation), but sterling has appreciated since a low in about March. There seems to be no offsetting productivity gain, since employment figures have been very positive (a very good thing, in spite of some economists moaning about productivity). So we’ve just reverted to the unsustainable growth patterns of the early 2000s, without the benefit of cheaper imports to sustain living standards. What, of course, we need to see is a rebalancing of the economy to something more sustainable. This will show through in increased levels of investment (still low) and a stronger trade balance. The confidence engendered by the recent spurt of growth may help with this. Meanwhile the government’s austerity policies need to be strengthened, if anything – otherwise the economy will be even less sustainable. Grim news for politicians of all persuasions. Just when I thought things might be looking up a little for the Lib Dems, the Chris Rennard affair comes back with a vengeance. While my own views on the affair will become clear, I want to use this post to reflect on wider issues. Lord Rennard (as he now is) was the party’s chief executive, and the ruthless leader of a number of highly successful by-election campaigns. The peak of his influence was under the leadership of Charles Kennedy and the 2005 General Election campaign. This was the party’s most successful campaign, marked by a manifesto that I personally thought was a disgrace: an unprincipled list of policies designed to appeal to floating voters. Still, successful politics requires ruthless campaigning, and we can’t wish away the dark arts. However, it emerged recently that his conduct towards some of the party’s female candidates was open to question. Legally proved facts are in short supply here, but a number of complaints from highly credible sources emerged to the public glare a year ago. A police investigation resulted. That’s the first problem. Nothing that I had heard about the accusations suggested that it amounted to criminal behaviour. It was inappropriate by the party’s liberal values, but lots of different sorts of behaviour meet that description without being criminal. But as soon as, inevitably, the police found nothing they could proceed on, his defenders came forward to suggest that he was completely exonerated. This, of course, is one of the oldest tricks in the dodgy operator’s handbook. How often do you hear of somebody claiming that they are “innocent of any wrongdoing”. Scratch the surface and “wrongdoing” turns out to mean “criminal behaviour proved beyond a reasonable doubt”. There is, of course, plenty of doing of wrong that falls short of this. Ethics and the criminal code are different things, and lack of evidence is not proof that something did not happen. This is a real problem. Society sends out confusing signal to its citizens. I remember hearing on the radio of how school children in tough neighbourhoods get confusing messages. At school they are told that it is wrong to lie, that they should tell the truth for the greater good of all. But as soon as they get into trouble with the police, their legal adviser encourages them to lie like mad, or at the very least not cooperate. We do not honour people who take legal risks in the cause of truth; we just think that they are badly advised and a bit stupid. Coming back to the Rennard affair, if we push past the deliberate obfuscation between criminal behaviour and inappropriate conduct, we are still in deep water. The party’s own adjudicator recommended that Lord Rennard apologise. This he has refused to do, citing “legal reasons”, though he has offered an expression of regret. The legal advice he seems to be getting is that any form of apology increases the risk of a civil case against him. I’m not sure just how true this really is, but it highlights a second problem for society: the excessive caution of legal advice. Ask a lawyer for advice as to how to behave and they will always err on the side of caution – advise you on what to do to minimise the risks of legal action against you. This is their job, after all. So they always advise against admitting any kind of guilt or apologising. This is corrosive to workings of a civilised society. That sort of advice is made to be disregarded at will. A further defence (Lord Rennard has a lot of friends and defenders) is that he can’t apologise because he doesn’t know what he is supposed to apologise for. This is because the party’s report into the affair is confidential, and he hasn’t seen it in full. But it emerges that he has read the witness statements, which should be enough. So far as I am aware he was not instructed into exactly what his apology would say. You would think that a politician would be able to construct something that did not admit liability. This might well be regarded as inadequate by his accusers, but many are just looking for a face-saving way out. That usually means coming up with a formula that pleases nobody. There is a more interesting and ethical argument that can be deployed to defend Lord Rennard. It is that you should not say things you do not mean, and that he genuinely does not feel that his behaviour warrants it. But given the liberal values he espouses, and the regret he has already expressed, surely there is sufficient ambiguity in his feelings to overcome such an objection? Of course, if he really can’t understand how his conduct was inappropriate then there is a bigger problem. Though, as ever, it is hard to know the extent that he is disputing the facts or the morality of his conduct. Our adversarial legal approach, where winning or losing matters more than the underlying logic of how you get to the result, does not help us get clarity on this. There is another question posed by this affair, however, that does not reflect on Lord Rennard, but on his accusers. Why are they making such a fuss, and why now, so long after the events occurred? As I wrote when the affair originally broke, to a media frenzy, it is easy to detect some political ulterior motives. More deeply, is this part of a “victim culture”, where people are encouraged to blame their troubles on others, rather than trying to take control of their own fate? Some female critics of Lord Rennard’s accusers (I will not call them his defenders) seem to think so. Victim culture sells newspapers and does seem to be quite prominent – but it isn’t good for mental health, however justified it might look. This is a difficult issue though. It is not a good idea to ignore unacceptable behaviour. The more responsible journalists (like Radio 4’s Martha Kearney) have used to affair to discuss the whole issue of acceptable conduct at work – and that is surely a good thing. We should not confuse right and wrong with the judicial process, and legal advice can cross the boundary into the unethical, and we should disregard it when it does. Slightly ambiguous apologies are one of the essential lubricants of social conduct. We should not ignore issues of wrongdoing, but we should know when to let go. This affair has gone on for too long; the longer it continues the worse it reflects on the main protagonists. 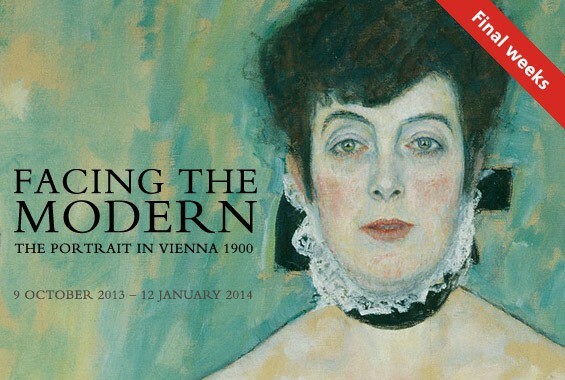 Today we went to see the last day of the National Gallery’s exhibition of portraiture from Vienna at the turn of the 19th/20th Century. The art was interesting in its own right, but the main impact for me was learning about the Austro-Hungarian Empire, which lasted from 1867 to 1916, and its implications for our time. Austria-Hungary came into being after the Habsburg Austria Empire’s disastrous war with Prussia in 1866. This put to an end idea that the Habsburgs would lead a united Germany. It also put paid to the Austrian Empire’s possessions in Italy, which joined the new Kingdom of Italy. Austria’s rulers had to consolidate what they had, and they took a distinctly liberal approach. The Kingdom of Hungary was established as a parallel entity to Austria, rather than simply being part of Austria’s extensive possessions, and it took perhaps about half of the total land area. Hungary included what is now Slovakia, Croatia and the Transylvanian region of Rumania. In each part of the dual monarchy, democratic reforms were enacted, with elections and citizenship open to all (I think these were more advanced in Austria than Hungary). Many people of different backgrounds migrated to Vienna, which became a liberal, multicultural place. Jews, in particular, were offered a route into the higher echelons of society, and many assimilated into the Austrian culture. But by 1900 all this liberalism was creating a backlash, and tensions started to mount. There was political stalemate, broken by the First World War in 1914 – which Austria-Hungary itself started, by attacking Serbia. This brought catastrophe down on the Empire, which broke up after Emperor Franz Joseph’s death in 1916, with complete dismemberment when the war finally ended in 1918. Things got worse after that, with anti-Semitism growing into the horror of the Holocaust. Hitler was an Austrian and part of the Vienna scene before 1914. The betrayal of Jews, in Austria especially, has left a stain on Europe’s history that will never be expunged, to rank alongside exploitative, racist colonialism, which Austria at least did not take part in. Austria-Hungary was widely disparaged at the time – “the sick man of Europe”. Its attempt to forge a multicultural national entity was thought to be undemocratic and illiberal. The right way was to form nation states from largely one language and culture. Nowadays we have much more sympathy with the Austria-Hungary project. National identity is a complicated business, and the idea of creating states based on linguistic and cultural heritage proved to be romantic fiction at best, and licence for oppression, murder and war at worst. All European nations wrestle with the issues of being home to multiple cultures, and we have created a vast, multi-national entity in the EU, which shares many features with Austria-Hungary. What the Exhibition showed, however, was that for all the tension and ultimate political failure, Vienna in particular produced a flowering of creativity. Many of the period’s greatest artists worked there (we can think of Gustav Klimt and Gustav Mahler, and the highly innovative Arnold Schoenberg). This creativity was not confined to the arts: there was Sigmund Freud, and in the discipline of economics, Joseph Schumpeter, each responsible for ground-breaking ideas that we now take for granted. But there is a discomforting parallel with Europe today. The European liberal and multicultural project is under fire. Nationalist groups, promoting intolerance, seem to have the political momentum. This is creating a tension, and causing liberals to doubt. In Britain it is disheartening to see that both Labour and Conservative parties have decided to pander to the anti-liberal momentum, rather than stand up to it. And meanwhile, just as in the 1900s, economic advance seems to create inequality, creating yet more tension. Are we heading for disaster? I don’t think so. The horrific events of the first half of the 20th Century still cast a strong shadow. But liberalism does need to reinvent itself. I dedicate myself to that cause.